Image Source: That Burning Sensation. 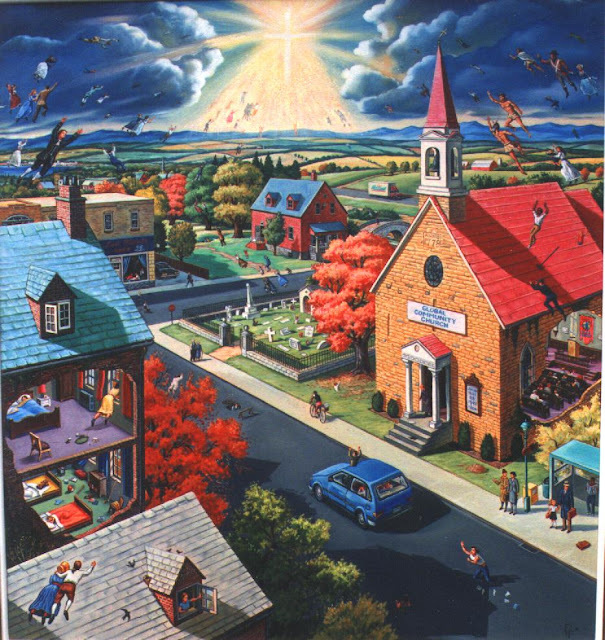 This predicted event concerns the moment when God will alight upon Earth and take up true Christians, whether dead or alive, as a prelude for huge and terrible things, including the Second Coming, resurrection of the dead, the annihilation of the Earth, and the Day of Judgement. Check out this talk by Eli Pariser in the TED talks series, dating from February 2011 (Hat tip: Godlike Productions). Pariser cautions that sites like Yahoo!, Google and Facebook use a lot of surprising personal data about us to tailor the kind of information that we find when we conduct online searches, or even when we visit news sites. In other words, according to your browsing patterns, the information on sites like your Facebook profile, and which sites you click on first, your Google search with a particular term will produce different results from someone who does a Google search with the same term. This is also the case with some news sites: according to your site visitation history, you will see a different set of news stories than another person who visits that site. The filters' gauges of 'relevance' are the selective criteria that limit our freedom of access to information. Pariser feels that this situation leads to individuals not having control over what they can and want to see. It's an invisible mechanism of control, a self-censoring system, which actually makes our worlds smaller and smaller, not larger and larger. Pariser argues that the algorithms used to control the flow of information to individuals have no embedded system of ethics. The implication he does not explore is the internet's easy potential for tyranny if these conditions reached the extreme end of the spectrum. At any rate, he claims "some" control over "personalization" should be given back to users by news outlets and search engines. And he notices that this situation is identical to the position of the press in 1915, when journalistic ethics were in their infancy. It was that system of professional ethics which regulated how newspaper editors controlled which information reached informed citizens, and which didn't. In his view, this system barely got us through the 20th century. Now, as old-fashioned journalism is being swept away by the internet, Pariser calls on the Information Technology community to develop and incorporate similar standards, while allowing for objectivity and open-mindedness when it designs its virtual gatekeepers. Twitter predicts the stock market (18 October 2010). Image: physics arXiv blog. Two big Cyberpunk movie franchises from the turn of the century, The Terminator and The Matrix, depended on a cataclysmic moment when computer networks turned sentient. There is no danger of that yet, although there are signs of networks taking on an organic momentum of their own. The Internet may reflect the confluence of human thought and action in such a way as to make it representative of the collective senses of society. In the minds of some, like society itself, the Internet is almost a living creature. This idea lay at the heart of the excellent Darren Aronofsky movie, Pi. The concept clearly drives Google's seminal research into Artificial Intelligence. Numerous studies show that stock market prices are not random and this implies that they ought to be predictable. The question is how to do it consistently. Today, Johan Bollen at Indiana University and a couple of pals say they've found just such a predictor buried in the seemingly mindless stream of words that emanates from the Twitterverse. For some time now, researchers have attempted to extract useful information from this firehose. One idea is that the stream of thought is representative of the mental state of humankind at any instant. Various groups have devised algorithms to analyse this datastream hoping to use it to take the temperature of various human states. One algorithm, called the Google-Profile of Mood States (GPOMS), records the level of six states: happiness, kindness, alertness, sureness, vitality and calmness. But there are at least two good reasons to suspect that this result may not be all it seems. The first is the lack of plausible mechanism: how could the Twitter mood measured by the calmness index actually affect the Dow Jones Industrial Average up to six days later? Nobody knows. The second is that the Twitter feeds Bollen and co-used were not just from the US but from around the globe. Although it's probably a fair assumption that a good proportion of these tweeters were based in the US in 2008, there's no way of knowing what proportion. By this reckoning, tweeters in Timbuktu somehow help predict the Dow Jones Industrial Average. Behavioral economics tells us that emotions can profoundly affect individual behavior and decision-making. Does this also apply to societies at large, i.e., can societies experience mood states that affect their collective decision making? By extension is the public mood correlated or even predictive of economic indicators? ... We analyze the text content of daily Twitter feeds by two mood tracking tools, namely OpinionFinder that measures positive vs. negative mood and Google-Profile of Mood States (GPOMS) that measures mood in terms of 6 dimensions (Calm, Alert, Sure, Vital, Kind, and Happy). Princeton computer scientists have developed a new way of tracing the origins and spread of ideas, a technique that could make it easier to gauge the influence of notable scholarly papers, buzz-generating news stories and other information sources. The method relies on computer algorithms to analyze how language morphs over time within a group of documents -- whether they are research papers on quantum physics or blog posts about politics -- and to determine which documents were the most influential. "The point is being able to manage the explosion of information made possible by computers and the Internet," said David Blei, an assistant professor of computer science at Princeton and the lead researcher on the project. "We're trying to make sense of how concepts move around. Maybe you want to know who coined a certain term like 'quark,' or search old news stories to find out where the first 1960s antiwar protest took place." Blei said the new search technique might one day be used by historians, political scientists and other scholars to study how ideas arise and spread. ... Blei said their model was not meant as a replacement for citation counts but as an alternative method for measuring influence that might be extended to finding influential news stories, websites, and legal and historical documents. "We are also exploring the idea that you can find patterns in how language changes over time," he said. "Once you've identified the shapes of those patterns, you might be able to recognize something important as it develops, to predict the next big idea before it's gotten big." This desire to find the 'big picture' by following the paths of information coursing through our culture reappears in the study of 'transmedia.' Transmedia, according to Hukilau is: "interactive storytelling across multiple media and platforms. The story actually cuts across, loops between and re-enforces the different strands that tie together the different platform exploitations. In other words, each component part is relevant to a whole – the bigger picture." The suspicion that there is a process embedded within the Intenet that makes it an entity unto itself fuels Millennial conspiracy theories. At no other time in the history of the world could you have so many innocuous bits of data juxtaposed, seemingly granting them meaning. The resultant mentality responds well to stories that associate different agents in the global economy, granting that association a malevolent aspect. In late 2010, a typical example appeared in Pravda (via Before It's News), which reported the fact that Monsanto recently purchased Blackwater (now called Xe). Monsanto has developed an "intelligence wing" that conducts industrial intelligence operations and also keeps an eye on the biotech giant's many critics. Without a doubt, a team-up between Monsanto and Blackwater is fairly alarming. However, another aspect to this story is our basic, knee-jerk response to it. Our automatic credulousness is a major problem. We want to believe in deep dark secrets everywhere, as helter skelter blobs of information suddenly end up next to each other, seemingly creating a whole new dimension of menace. 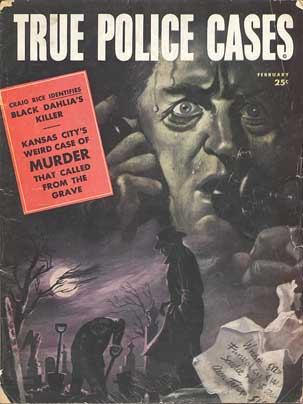 Where are the sources for some of these brooding news bytes? Who manufactures these news items - and to what end? There is always another wizard working the levers behind another velvet curtain. To be clear: it is part of the nature of the Information Revolution to mash data together mechanically without any rhyme or reason. Yet in these mash-ups, we inevitably perceive sense and order where there really isn't any. Informatics specialists' research into a 'bigger picture' inside the Internet is the sober aspect of this credulousness. This research retains the assumption that the Internet can be tamed and harnessed. These researchers accept the fundamental premise that there is a demi-god in the machine, an internal order, that can be comprehended and released, Phoenix-like, and hatch a golden egg called the Singularity. I don't believe in the Singularity for the same reason I don't believe in Heaven. Once I met a Singularity zealot who claimed that eating potato chips after the Singularity would induce sublime ecstasy. Our senses would be so heightened that we could completely focus our whole attention on the ultimate chippiness of the chip. For him, the Singularity was just like Sunday school Heaven, full of turbo versions of everything we love down here on Earth. But instead of an all-powerful God zotting angel puppies into existence for our pleasure, we would be using the supposed tools of the Singularity like nanotech and A.I. to conjure up the tastiest junk food ever. That is not a vision of social progress; it is, in fact, a complete failure to imagine how technology might change society in the future. Though it's easy to parody the poor guy who talked about potato chips after the Singularity, his faith is emblematic of Singulatarian beliefs. Many scientifically-minded people believe the Singularity is a time in the future when human civilization will be completely transformed by technologies, specifically A.I. and machines that can control matter at an atomic level (for a full definition of what I mean by the Singularity, read my backgrounder on it). The problem with this idea is that it's a completely unrealistic view of how technology changes everyday life. Case in point: Penicillin. Discovered because of advances in biology, and refined through advances in biotechnology, this drug cured many diseases that had been killing people for centuries. It was in every sense of the term a Singularity-level technology. It extended life, and revolutionized medical treatment. And yet in the long term, it wound up leaving us just as vulnerable to disease. Bacteria mutated, creating nastier infections than we've ever seen before. Now we're turning to pro-biotics rather than anti-biotics; we're investigating gene therapies to surmount the troubles we've created by massively deploying penicillin and its derivatives. That is how Singularity-level technologies work in real life. They solve dire problems, sure. They save lives. But they also create problems we'd never imagined - problems that might have been inconceivable before that Singularity tech was invented. Newitz is correct: there is no proof that globalized, overlapping computer systems and algorithms will produce some ultimate rationalized process. The Internet offers something else: cultural entropy, disintegration and degradation. For example, look at how the Internet shreds time and consumes personal lives. I like to imagine someone from the 18th century alighting in our society, and witnessing millions of people, staring for hours into grey boxes and little black gadgets. To the time traveller, it would be a picture of hell. That is not to say that we will descend into chaos because of the Tech Revolution. Neither good nor bad outcomes are certain. The assumption that we are all on a road up into the light of progress colours researchers' inquiries into the internal mysteries of the Internet. It would be just as easy to argue and prove that we are heading toward fractured social oblivion and total tech-driven war - as it would be to say that sites like Twitter can explain the collective emotions of online users and predict the performance of the stock market. Moreover, this research comes out during the worst recession since the 1930s. In short, algorithms may correlate blobs of information in a way that suggests causal connections between them. That is a logical fallacy. Some predictions garnered from deep study of online structures may produce results that make sense. But it is still magical thinking. The notion that the Internet can predict the future and unlock our ultimate mysteries is an illusion, which will sometimes work, and sometimes will not. 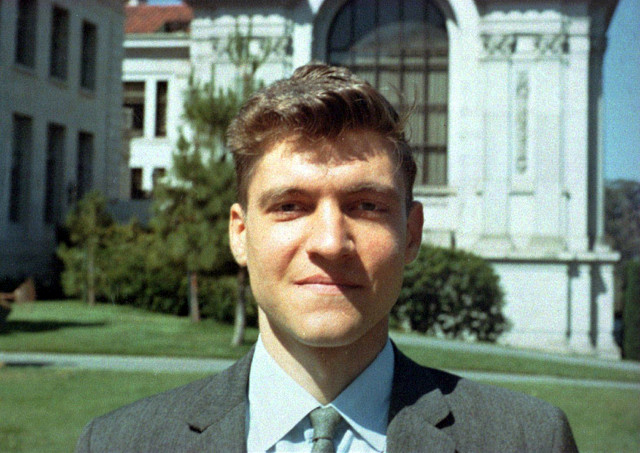 Ted Kaczynski, Berkeley (1968). Image Source: George M. Bergman via Wiki. The Chronicle of Higher Education is reporting that Theodore Kaczyncki's belongings are being auctioned today by GSA Auctions (here and here) for the US Marshals. Kaczynski was known in his graduate days as a brilliant young mathematician. Wiki cites one of his doctoral examiners: "Maxwell Reade, a retired math professor who served on Kaczynski's dissertation committee, also commented on his thesis by noting, 'I would guess that maybe 10 or 12 men in the country understood or appreciated it.'" The first and most famous of radical opposers of the Tech Revolution, Kaczynski's life story so far reflects some of the worst things that went wrong from World War II, through the Cold War and up to the Millennium. Below the jump, the items for sale tell that story; ironically, they are going up for auction online. The benefits go to his victims and their families. 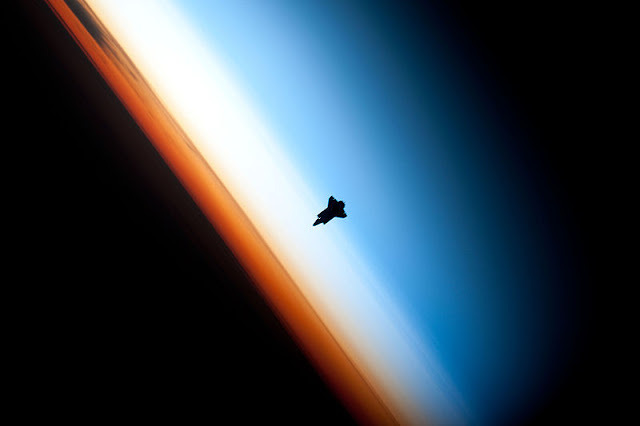 Space Shuttle Endeavour straddling the stratosphere and mesosphere. (9 February 2010), STS-130. Image Source: NASA via Wiki. Caption for the above photograph: The image was photographed by an Expedition 22 crew member prior to STS-130 rendezvous and docking operations with the International Space Station. Docking occurred at 11:06 p.m. (CST) on Feb. 9, 2010. The orbital outpost was at 46.9 south latitude and 80.5 west longitude, over the South Pacific Ocean off the coast of southern Chile with an altitude of 183 nautical miles when the image of the was recorded. The orange layer is the troposphere, where all of the weather and clouds which we typically watch and experience are generated and contained. This orange layer gives way to the whitish Stratosphere and then into the Mesosphere. The Space Shuttle Endeavor, active since 1992, is taking off for its final flight today after some delays. Coming on the heels of the last voyage of Space Shuttle Discovery, which landed on 9 March, these events mark the decommissioning of the Space Shuttles and the end of an era. This may be the last flight ever in the program, depending on how planning goes for the last mission of Space Shuttle Atlantis in June. Endeavor's crew, however, will be initiating an experiment that may take us into a new age. The Space Shuttle is carrying an Alpha Magnetic Spectrometer (the AMS02) to install on the International Space Station. The instrument will detect sub-atomic particles in cosmic rays and search for dark matter and antimatter. In October of last year, I posted the first photograph ever taken of a Rubidium 85 atom - and was struck by how the atom looked like a star. This is a moment in which the science of the very small intersects with the science of the very large. Given that reconciling those two traditions is one of the biggest problems of our time, Endeavor mission has a critical function to fulfill. Caption for the above image: By studying sub-atomic particles in the background cosmic radiation, and searching for anti-matter and dark-matter, it will help scientists better understand the evolution and properties of our universe. The shape of the patch is inspired by the international atomic symbol, and represents the atom with orbiting electrons around the nucleus. The burst near the center refers to the big-bang theory and the origin of the universe. The Space Shuttle Endeavour and ISS fly together into the sunrise over the limb of Earth, representing the dawn of a new age, understanding the nature of the universe. 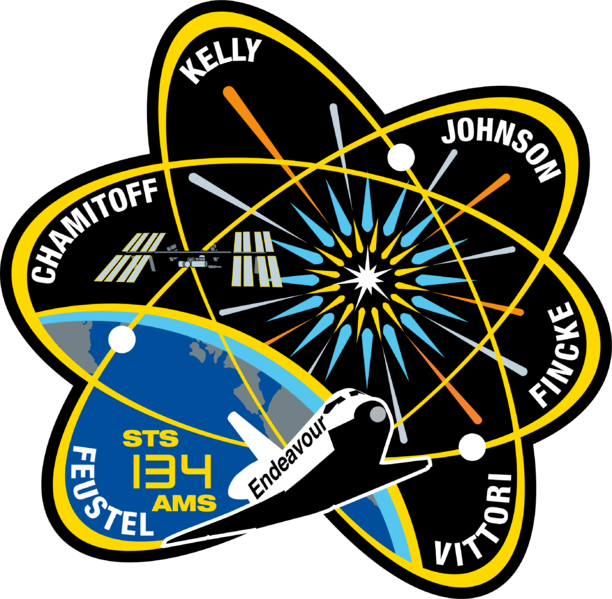 This mission is numbered STS-134, and is led by Mark Kelly, the husband of congresswoman Gabrielle Giffords, who survived an assassination attempt on 8 January. She will be attending the launch. 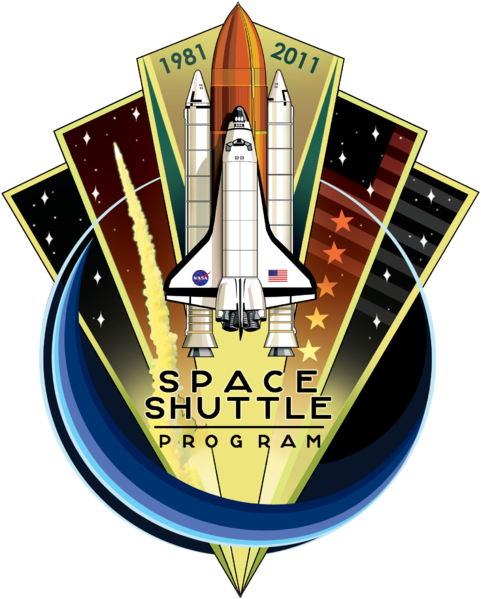 Space Shuttle Program Commemorative Patch. Image Source: Wiki. If you're not reading this post on Histories of Things to Come, the content has been stolen and republished without the original author's permission. Please let me know by following this link and leaving me a comment. Thank you. 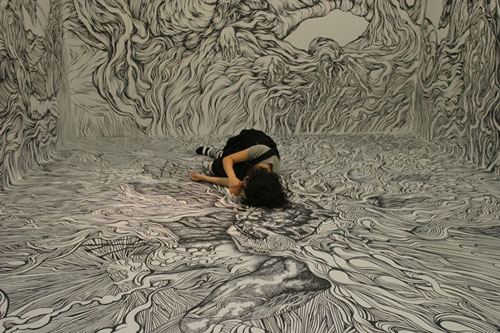 Booooooom has some great photos of the Japanese artist, Yosuke Goda at work. Not only does the artist create an environment with his drawings, but the sequence of pictures gives static images of mythological monsters a strange dynamic. Online posting of the photos changes their context. When placed in sequence on a Weblog, Goda's drawings are almost like classic animation cells or a giant flipbook. To see this effect in the complete set of images, go here. (Hat tip: Kate Sherrod) More images, and a time lapse video of Goda working on another piece over the course of a week, are below the jump.